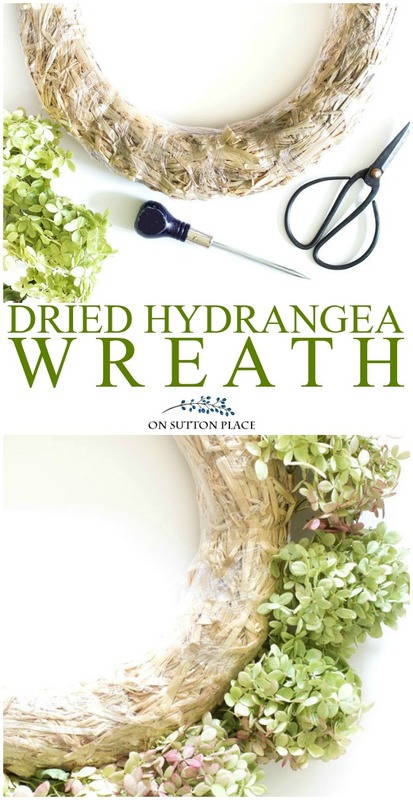 Dried Hydrangea Wreath Tutorial: easy directions with pictures to make your own wreath. 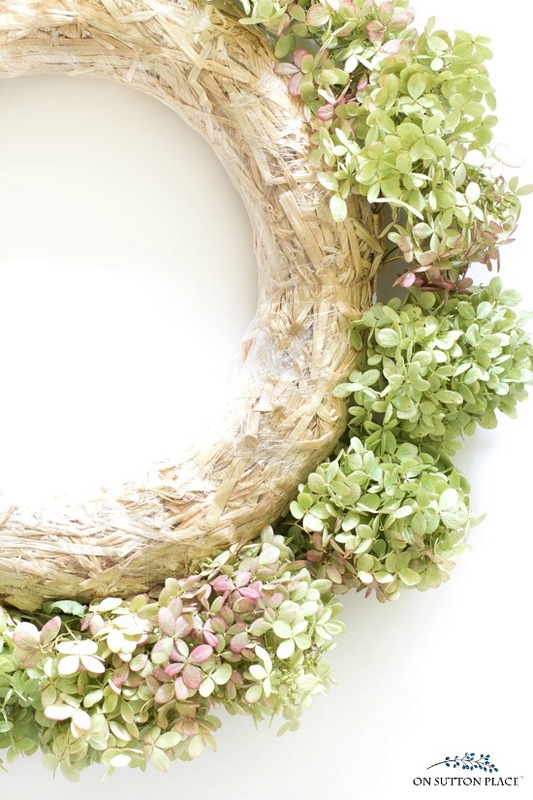 Wreath can be made with faux or dried hydrangeas. More often than not, it’s the simple things in life that bring the most satisfaction. A beautiful fall day, a pot of soup on the stove, all the laundry finished. (The last one is not a common occurrence around here. If it ever did happen believe me, I would get tremendous satisfaction from it!) Anyway, something that has repeatedly put a smile on my face the past few months are my Limelight Hydrangea bushes. I planted them in the spring of 2014 and after just one year I had the most amazing blooms. I was able to fill two big buckets and had enough blooms to make arrangements in my silver urns as well as a wreath. This dried hydrangea wreath took some patience, but was well worth the time and effort. *Affiliate links included. Click HERE for my complete disclosure. about 25 dried hydrangea blooms. A styrofoam wreath can also be used. If you choose a straw wreath, make sure to leave the wrapping on. Lay your wreath base on a flat surface. 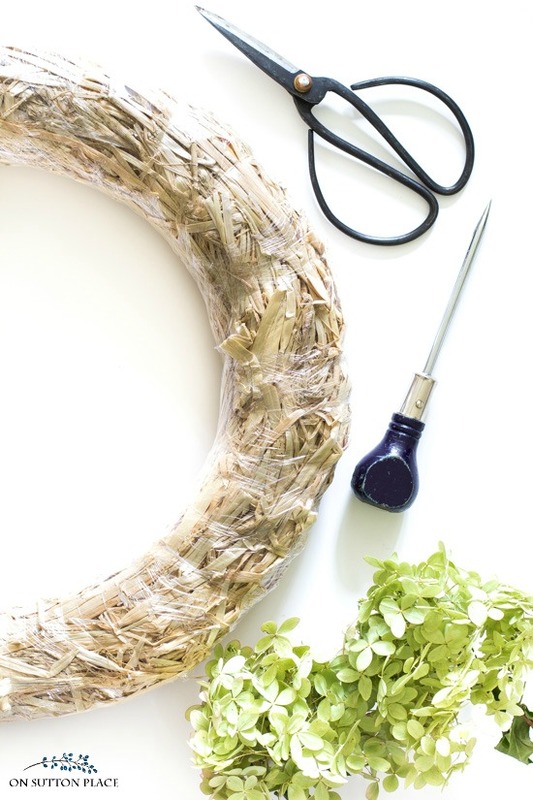 Using the punch to make a hole first, start placing the dried hydrangeas along the outside of the wreath. Insert the blooms at a slight angle, like the spokes of a wheel. I trimmed the stems of my hydrangeas to about 3 inches. This first layer took 15 blooms and I chose the smallest ones I had. Continue inserting blooms at an angle on the top of the wreath. I chose larger blooms and used ten. To finish it off, add four or five more blooms on the inside of the circle. This isn’t really an exact science. Some blooms will stick out further than others but don’t worry. Once you have the wreath base full of blooms, they sort of blend all together. Even though this project was super easy, it was a little nerve-wracking. I broke a few stems at the start and was annoyed with myself. So I slowed down and made sure I had a good hole before I stuck the stems in the wreath. My blooms were very dry so there was some shedding and a bit of a mess. It was totally worth it though because the wreath is beautiful and full. It’s on my door right now and I think it’s perfect. 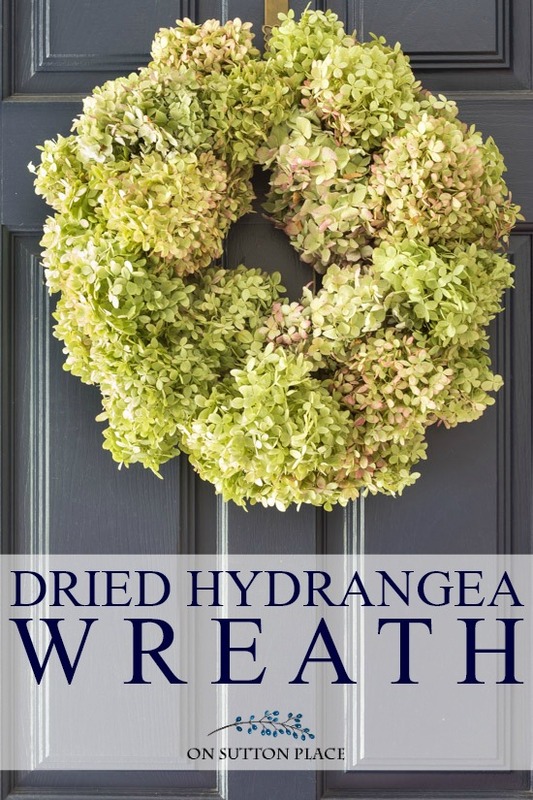 If you don’t have dried hydrangeas, this dried hydrangea wreath tutorial could be used with silk hydrangea blooms from a craft store. There would be no shedding and the wreath would probably last longer. 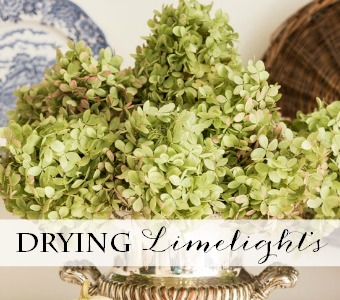 For more on Limelight Hydrangeas just click the images below! This is so gorgeous! I really must remember to use some of my hydrangea next year to make one! That’s beautiful, Ann! 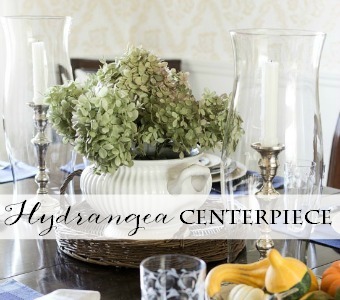 What an awesome idea to be able to enjoy your hydrangeas for even longer:) Thanks for the tutorial! About 15 years ago, I read a homemaking article that completely turned my life around, because by following the advice given in the article, I am always current on my laundry. The secret is to have a specific laundry day. Instead of doing a load or two a day—and thereby having a job which is never really done—I do 6 or 7 loads of laundry one day a week (Monday for me). I wash, dry, and fold all on that one day. Yes, it makes for a day of much work, but I have the satisfaction of having everything clean and put away for that week. I know that I have 6 days of freedom (from laundry) before having to tackle it again. I do the same with my laundry…all on Monday…and I get such satisfaction from that and the rest of my week goes by on a upbeat scale. Monday is also pick up and put away clutter from the weekend. If I have time that evening I mop my kitchen floor. I have enjoyed your blog so much. Thank you for all you do . Ditto for me! Laundry is all done on Monday. Sometimes it overflows to Tuesday but it’s usually all done on one day and then I’m free. There’s something satisfying about watching that pile diminish! Hi Ann, Just wanted to alert you to a typo in this post for the deadline to order clay tags (says Oct 11 instead of 18). I didn’t want you to lose any potential orders, because those tags are so pretty! LOVE your beautiful wreath, btw. wait till next year! Thank you. Happy Fall. You just can’t beat a beautiful hydrangea! They make so many pretty arrangements and your wreath is perfect! I put lots of mine in my window box with small pumpkins and greenery. My blooms this year were beyond big! They were massive and people kept saying they had never seen such! They may have bloomed themselves to death this year! LOL!!!!! Your wreaths are always fabulous, but this one is my favorite. 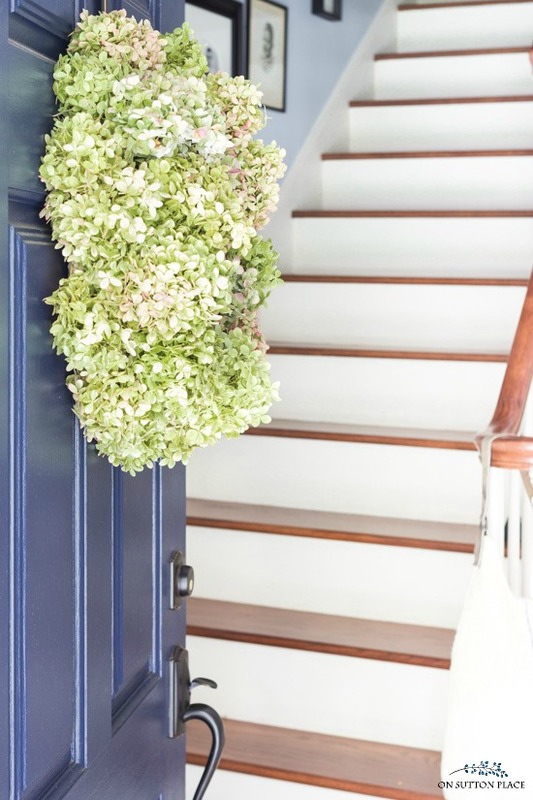 I love Hydrangeas – your wreath is beautiful. FYI~ I received your “Be thankful” pillow cover – its beautiful I will be posting on my blog as soon as I purchase an insert. And ~ the tags are beautiful as well – I purchased them a few months ago and forgot to let you know how much I love them. They are for my girls ~ I love using them to finish off gift wrapping. Just beautiful! I do look forward to your blog everyday. I understand the stress of caring for elderly parents. Strength be with you. One of the things I miss most about a home with a garden in Ohio is the beautiful hydrangea blossoms. Your wreath is beautiful. Do you spray it with anything to keep it from shedding? I was once told hairspray might help, but I never used it. Happy Fall! Hi Chloe! I did not spray it. I considered using matte sealer but wondered if it might make the blooms shrivel up. I should try on just one bloom and see what happens. Maybe next time! Thanks Ann! I am curious too, what could be done to keep them from shedding. Beautiful wreath! 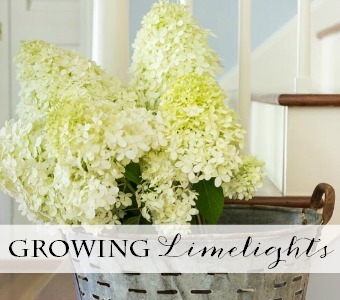 I went back and reviewed all your posts about growing and drying limelight hydrangeas and I’m sold! I’ll be planting a couple in the spring. Thank you for all the good tips. 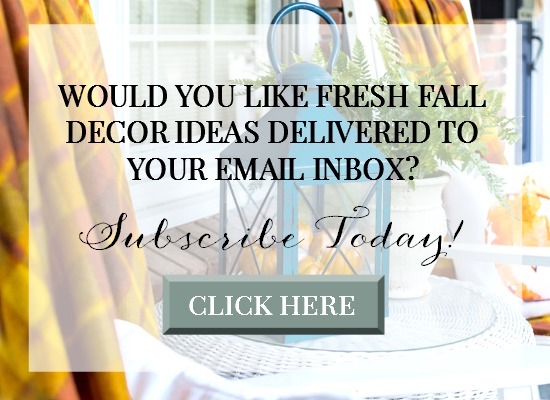 Your blog and home are lovely! Hi Jeanne! The very best of luck with your hydrangeas…you will love them. Me too! I need to find out if they grow in my zone (8) and where to find them, but I really REALLY want some now! do you not glue in the stems? No I did not. I thought I might have to but even when I moved the wreath around no blooms fell out. You could put a few drops of craft or hot glue on the stems before you stick them in the wreath. Good luck! So beautiful! I love my dried hydrangeas. I have never made a wreath before – think I need to put this project on my list. Oh Ann! You have the corner on beautiful wreaths! My limelights did not dry very well this year and now that I see your gorgeous wreath I’m very sad about that! I do have a tree of Pee Gee hydrangeas and may give it a try with them. I think if I hang a wreath like this in my powder room that it could last quite a long time… no natural light! Did you notice the “welcome” pillow on my bed today? You are so right about the simple things in life bringing the most satisfaction, and the the three things you listed would be some of the simple things that bring me incredible happiness as well. Your hydrangea wreath is beautiful and I love how these flowers can continue to bring a smile to your face long after their prime blooming season is over! Hydrangeas really give you a lot of bang for your buck. I am looking forward to seeing how you use the wreath with your Thanksgiving tablescape. I love the clay tags that I purchased from you in the past, and am looking forward to receiving the holiday ones I ordered so I can use them to adorn the packages I wrap. Thank you for all you do to bring simple satisfaction to your blog readers with your happy and inspiring posts. What a lovely comment Dorene…thank you so very much. Your kindness has completely brightened my day!